Enjoy an afternoon or evening of teapot art and tea in the heart of city! 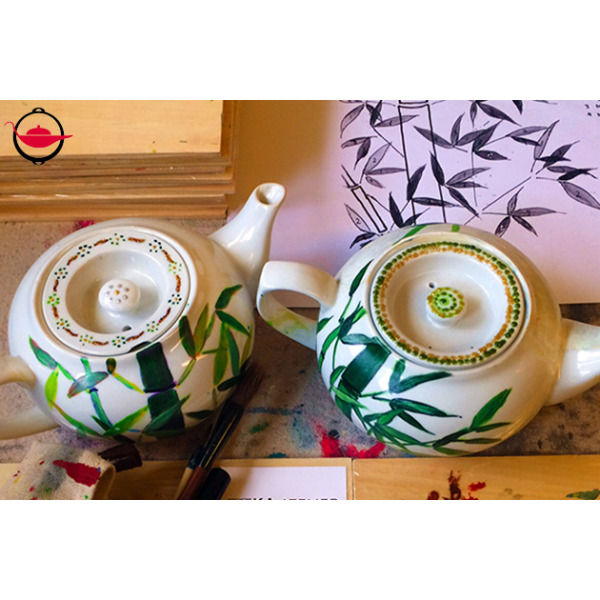 In this experience, you will come into the artist’s own studio to learn teapot painting on a traditional Chinese teapot, while enjoying tea with your friend. Enjoy an afternoon or evening of art and tea in this 2.5 hours Teapot Painting Workshop! Come with a friend and receive a traditional Chinese teapot or a teapot set each to create your teapot art. An instructor will be there to guide you and assist you with creating your own art piece. To help with your inspiration, brew your own pot of tea from a wide selection of tea from our tea menu and have a Chinese tea set share between you. At the end of your experience, bring your own Chinese teapots and tea cups home as a new décor item! Your painted teapot can be used as home decor or a special gift. 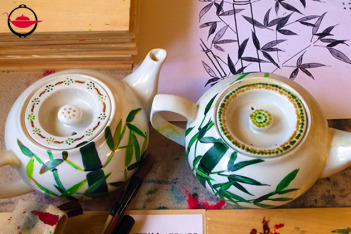 Come into this artist’s studio – a cosy and intimate creative space – enjoy an evening of teapot painting with tea and let your imagination flow! Additional participants may join at an additional cost of $325 per person, up to a maximum of 6 people. This experience is suitable for everyone! It is recommended that your painted teapots be used for decorative purpose only. Q: Can I take my painted teapots home immediately after the experience? A: Yes, if you can finish your teapots and dry the paints within the experience time. Otherwise, you can leave your teapots in the studio and arrange to collect them at a later time. The studio will also provide bubble wrap for you to protect your teapots. I really enjoyed it. The teacher was good. Great place, great artist Carol and have a very amazing experience in 2.5 hrs with my friend. We were warmly welcomed by Caroline upon arrival in her little but warm and cosy artist mansion in centre HK. After a brief introduction we started to paint our tea pots. She gave us some advice on how to use paint or make one or another pattern but we were free to do whatever we wanted. During the whole course we received delicious tea. I recommend to do it if you're looking for a relaxing, free spiriting afternoon.